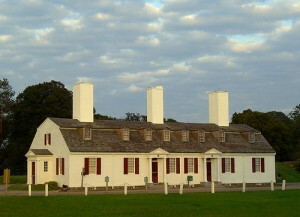 Set right in the heart of Annapolis Royal, the historic site of Fort Anne shows off a unique period in Canada’s early history, when the French and British were doing battle for control of North America. There’s been a fort on this site since 1629. It’s witnessed countless battles, functioned as the seat of government and formed a key defense against privateers during the American Revolution and the War of 1812. Among the lovingly restored buildings, make sure to take in the French gunpowder magazine, dating from the 18th century, and the 1797 British officers’ quarters. There’s also a huge tapestry to admire, which brings together the fort’s 400 year history and was created by a host of needleworkers, including Queen Elizabeth II. If you find history boring, you’ll be relieved to know that the staff and costumed interpreters at Fort Anne maintain a sense of fun. The young and young at heart are encouraged to bring a kite and fly it in the strong winds that often blow around the fort, or borrow a croquet set and have a go at this demure Victorian pastime. Don’t leave without taking a walk around the raised earth-wall fortifications. They’re laid out in the shape of a star and by tracing their outline, you’ll get a great overview of the fort and the surrounding landscape. Directions: You’ll find Fort Anne in the town of Annapolis Royal, off Highway 101. Opening Hours: May 15 to June 30, 9am to 5:30pm. July 1 to August 31, 9am to 6pm. September 1 to October 15, 9am to 5:30pm.